I read a ton of agile books, and this is by far one of the best ones I’ve ever picked up. My biggest complaint with most agile books is they’re around a singular idea; they go deep into a particular attribute or practice…sadly there’s a dearth of books that cover not only a ton of “agile” ground but give enough details to make you want to dive in further…this book hits on all of it. Cynefin, beyond budgeting, sociocracy, XP practices, metrics…and that’s not even half of the concepts contained therein. There’s a Q&A at the end of every chapter, along with suggested reading and links for further insight. I love it. If you’re looking for a book to give to that one person you’re working with that “gets it”, and could use a “sheep dip” into a wide body of concepts to help accelerate their journey…get them this book. 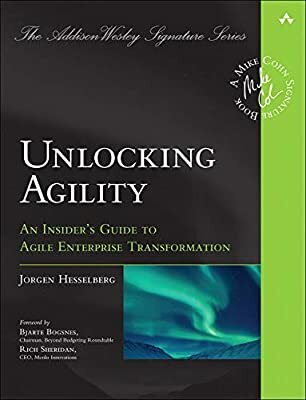 As someone who is on the ground floor of a large organization that is just beginning to shift it’s sights to agile this sounds like a great read. Thanks! Honestly that’s the perfect time to read this, you’ll get a ton out of it! We have an interview with him coming out in a podcast in May, be on the lookout. He’s a bright guy with a ton of brilliant observations that he ties together in a wonderful way.